EEOC issues proposed guidance on retaliation; seeking to broaden the definition of retaliatory conduct and the concept of causation. The U.S. Equal Employment Opportunity Commission (“EEOC”) has issued its draft proposed enforcement guidance on retaliation and related issues. The EEOC’s proposed changes represent the first time the EEOC has sought to change its guidance on workplace retaliation in approximately 20 years. These changes are in line with the EEOC’s recent efforts to broaden conduct that is deemed retaliation and the concept of causation. Since the time the EEOC last made changes to its guidance regarding workplace retaliation in 1998, the U.S. Supreme Court and other lower courts have issued numerous significant rulings regarding retaliation under employment discrimination laws. Furthermore, the percentage of EEOC charges alleging retaliation in the private sector has virtually doubled since 1998, and retaliation is now the most common form of discrimination alleged in both the private and federal sectors. Retaliation is a persistent and widespread problem in the nation’s workplaces. Ensuring that employees are free to come forward to report violations of our employment discrimination laws is the cornerstone for effective enforcement. If employees face retaliation for filing a charge, it undermines the protections of our federal civil rights laws. The Commission’s request for public input on this proposed enforcement guidance will promote transparency. It will also strengthen EEOC’s ability to help employers prevent retaliation and to help employees understand their rights. The EEOC’s guidance starts by defining retaliation under various different laws, and what makes up the elements of a retaliation claim. In order to make a retaliation claim, a plaintiff must prove: 1) they engaged in a “protected activity,” whereby the plaintiff can demonstrate “participation” in EEO activity or “opposition” by the plaintiff to discrimination; 2) an adverse action taken by the plaintiff’s employer; and 3) a causal connection between the protected activity and the adverse action. In relation to the “participation” prong of the protected activity element, the EEOC notes that participation encompasses internal complaints. Even still the EEOC finds that its guidance and the laws do not immunize employees from non-retaliatory discipline. 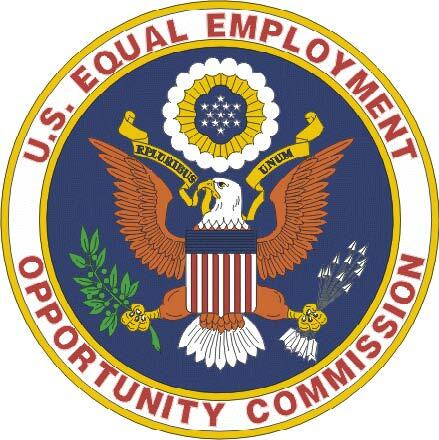 As it relates to the “opposition” prong, the EEOC’s guidance provides an expansive definition of opposition, including the “many ways in which an individual may communicate explicitly or implicitly opposition to received employment discrimination.” The opposition prong also protects all employees, including managers, HR personnel, or other EEO advisors. However, unlike the participation prong, the opposition prong requires that the opposition be reasonable, but that the opposition need only be based on a reasonable good faith belief, eve if the matter complained of is ultimately deemed to be lawful. The final element of a retaliation claim is proving a “causal connection” between the protected activity and the adverse action taken by the plaintiff’s employer. Essentially, “[a] materially adverse action does not violate the EEO laws unless the employer took the action because the charging party engaged in protected activity. Again, the EEOC has taken an expanded view of this element as well. According to the EEOC, evidence of a casual connection can be proved by what one appellate court has called a “convincing mosaic” of circumstantial evidence that would support the inference of a retaliatory intent. “The pieces of that ‘mosaic’ may include, for example, suspicious timing, verbal or written statements, comparative evidence that a similarly situated employee was treated differently, falsity of the employer’s proffered reason for the adverse action, or any other ‘bits and pieces’ from which an inference of retaliatory intent might be drawn,” the EEOC’s guidance says. The EEOC’s guidance concludes with a best practices section, which provides a number of things an employer can do “[t]o reduce the incidence of retaliation.” These practices include having written employer policies, providing training, providing anti-retaliation advice and individualized support for employees, managers, and supervisors, proactively following-up with employees regarding EEO issues, and reviewing consequential employment actions to ensure EEO compliance. The EEOC’s proposed guidance makes certain the EEOC’s position that it will find protected activity and retaliatory intent in almost every situation where the employee subjectively believes his or her employer has retaliated against him or her. Furthermore, there is no need to prove a retaliation claim by direct evidence. Rather, a plaintiff may prove his or her case by circumstantial evidence under a “convincing mosaic” theory, which allows a plaintiff to use EEO issues from their entire time of employment as part of their retaliation suit. In short, the EEOC’s new guidance makes clear that employers are under a high power microscope when it comes to retaliation claims.